What a great tool, well kitchen gadget. Get rid of the frying pan and all that mess. Baking bacon in the oven is the best way to get this done. It is simple …. 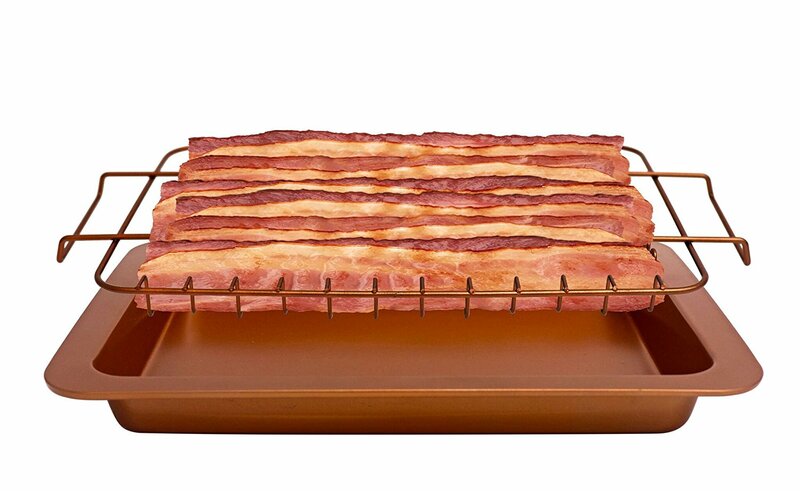 place the sliced bacon in the holder and turn the oven on to 350 degrees and next thing you know the bacon is done with no flipping or splatter in the stove. This method of cooking bacon will free up your time for the rest of your meal. I enjoy the time savings and the clean up, now it is a snap. When I make BLT sandwiches this is what I use.